Rock and Roll Hall of Famer Gene Simmons has a lot of reasons to be happy and most of them have our Founding Fathers on them. Think the type of stuff you would put in a vault. But, on Saturday, April 14, 2018 the larger than life figure from KISS arrived early at InDo Nashville for a day full of interaction with his most die hard fans – the one’s who recently purchased his Vault Experience. 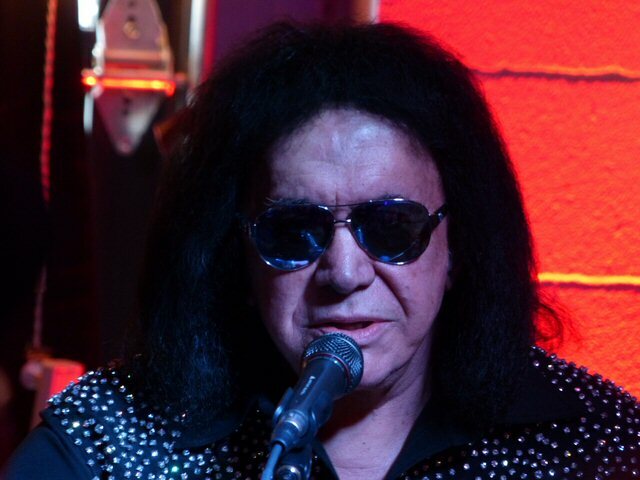 Rock n Roll Hall of Famer Gene Simmons regaled with his presence in Nashville. The Gene Simmons Vault Experience is a one-of-a-kind opportunity to meet The Demon who personally delivers the Vault to you. The limited edition Vault is literally the biggest box set ever – weighing in at about 40 pounds. Gene states that he has created a 50-year time capsule (1966-2016) of his career which includes songs penned by him that had not previously been released. The Vault is a treasure-trove of exclusive items such as a new Gene action figure, a special commemorative coin, a deluxe book containing over 50,000 words and 160 pages of unseen photos from his personal collection. Each numbered collectable contains a hand selected personal gift from Simmons that comes from Gene’s own extensive archive. Gene is after all – as he told the pilgrims in Nashville – a KISS collector himself. Established in 1973, KISS were a hard rocking outfit from New York who gained notoriety for their outrageous stage outfits paired with potent live performances that featured blood-spitting, fire breathing, pyro, smoking guitars and more. For the first few years their studio albums struggled to chart, so in 1975, KISS wisely decided to capture the excitement of their concerts by releasing Alive. The plot worked with the record going gold enabling them to enlarge their now still faithful and fervent fan base. Over the years KISS and in particular bassist Gene Simmons have become masters of marketing. KISS paraphernalia ranges from apparel to urns but the latest offering from Gene might be their best yet. Mr. Simmons arrived at InDo around 11 a.m., greeting fans as he made his way to the stage. He did a short sound check as he chatted with the crowd before taking time to meet briefly with local media then back to his fans. Armed with an acoustic guitar Gene talked about starting KISS 45 years ago and discussed some of the artists who influenced him such as James Brown. Like many seeing the Beatles on The Ed Sullivan show in the 60’s was a pivotal moment. For aspiring musicians he taught the three major chords which are the baseline for a bevy of popular songs. During his talk and tutorial Gene circled back to “Wild Thing” a number of times to nail down his point. Gene thanked Rhino Records for understanding his vision and desire for the “wow” factor which was his goal for the Vault. He also expressed his appreciation to his supporters who have made his musical aspirations a reality. At times he was emotional when he talked about the dream life he loves so much while openly acknowledging the fans who made it possible. He was also humorous and gracious as he remained in salesman mode to remind those in attendance that there’s still time to buy the Vault Experience. There have been a number of special appearances at the Gene Simmons Vault Experience. 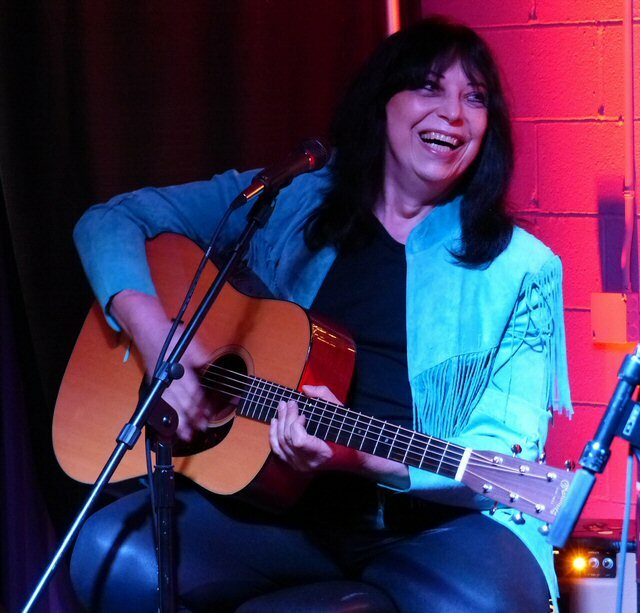 Ace has been to a few and Vinnie Vincent who was in KISS in the 80’s was in Music City. Vinnie and Gene shared the stage for a bit but Gene soon left as he had to start giving out the Vaults. Food and beverages were served. One of the drinks was MoneyBag cane sugar soda another product Gene is involved with. Simmons met with each Vault owner for about 5 minutes and during that time they could ask questions, have their picture taken and have up to 2 items (no instruments) signed. Members of the Gene Simmons Band were also in the house mingling prior to a scheduled afternoon set. The Vault was a unique Experience for people to meet the KISS showman and come away with a mighty piece of memorabilia. 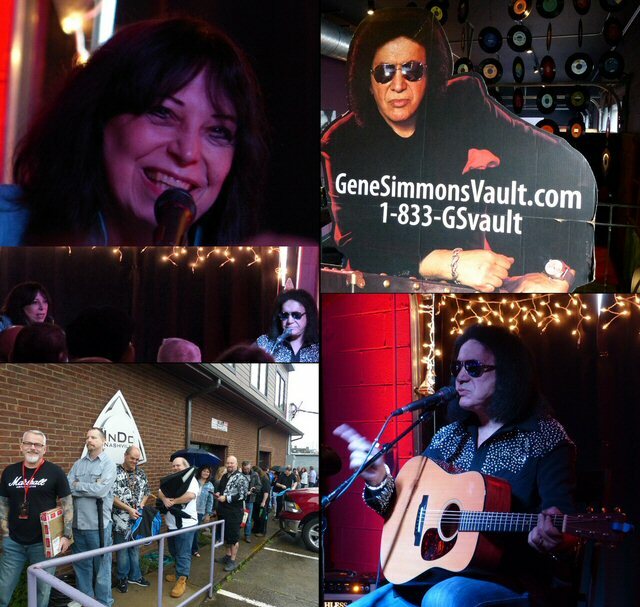 More scenes from the Gene Simmons Vault Experience in Nashville. When reminded that his legendary rock band KISS has a 50th anniversary only five years away coming up in 2023 he grinned slightly while saying, “the wheels are always turning”. That’s about as much time it should take for fans to get through the voluminous Vault that Gene has just delivered to Tennessee. InDo who hosted the Gene Simmons Vault Experience is a premiere co-working office space in Nashville for entertainment and tech industry entrepreneurs and professionals. It is perfectly situated between Music Row, The Gulch and Downtown. 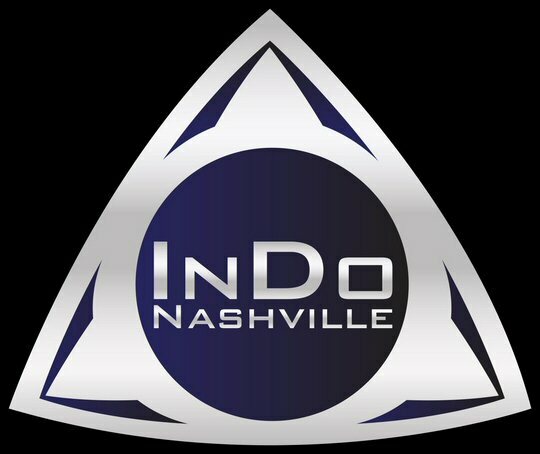 InDo Nashville is three floors with over 11,000 square feet of space including: a 1,500 sq. ft. event area, songwriting rooms, interactive work space, conference rooms and a panoramic view of the Nashville skyline. InDo is a strong supporter of indie artists along with industry giants and they don’t get much bigger than Gene Simmons. 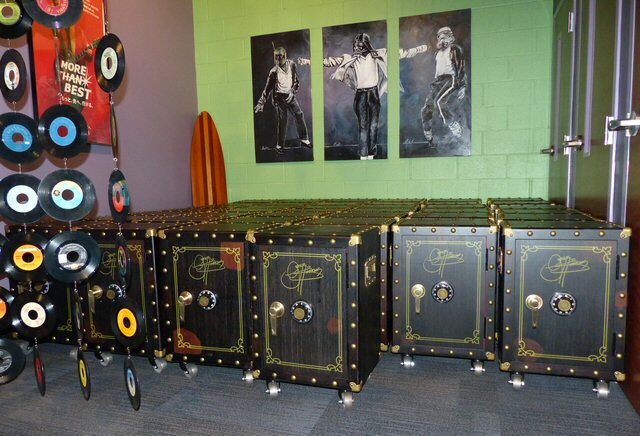 What the fans came to retrieve – the Gene Simmons Vault.